Trees have a secret life that is only revealed to those willing to climb them. 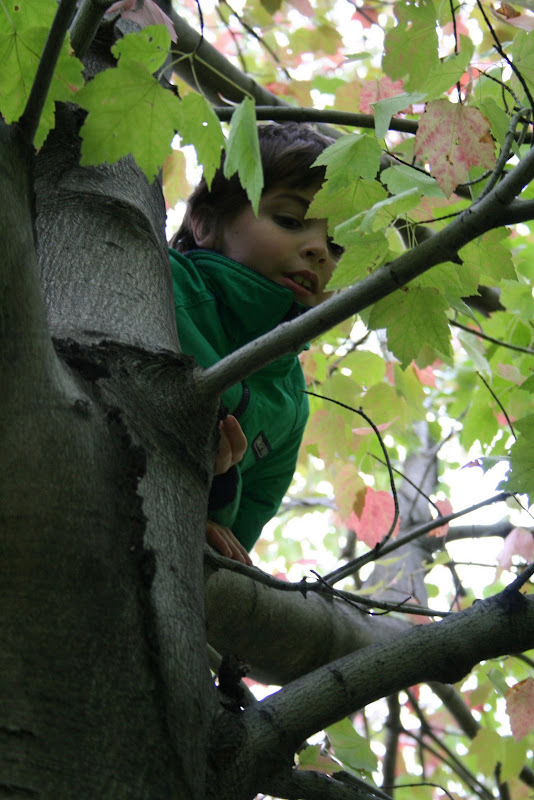 To climb a tree is to slowly discover a unique world, rhythmic, magical, and harmonious, with its worms, insects, birds, and other living things, all apparently insignificant creatures, telling us their secrets. t is also for travel. this month I have traveled a good deal which explains how I have reached the last day of the month and still have letters left! 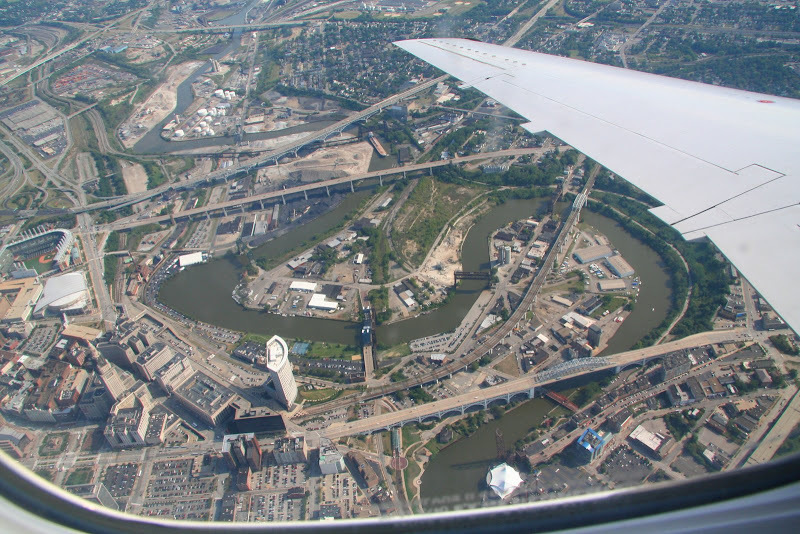 my last trip was on a train and I got home to the city of the crooked river in the dark; the view above was taken earlier this month flying home from d.c. it's a good shot of city - it shows why the cuyahoga river is called the crooked river. from this aerial view you can see the flats and a portion of downtown cleveland - including terminal tower, the new federal court building (odd shaped white building), progressive field (where the indians play), the arena formerly known as the gund (where the cavs play), and a few of the bridges that criss cross the river. t is also for tsuki. 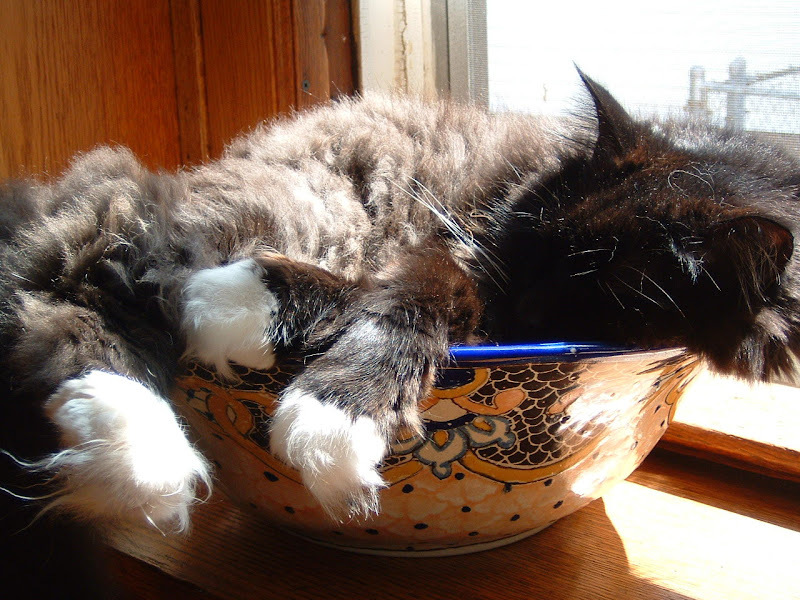 when he's tired he likes to sleep in the sun in his favorite bowl. Next cat I get will definitely be bowl-trained. That's adorable. Its so green, I almost didn't see it. I can't remember the last time I climbed a tree! Nice shot from the plane; very nice to see an aerial of your stomping grounds. What a long-hair is tsuki! I've never been to Cleveland. Perhaps some day soon. I love climbing trees and looking out of airplane windows and fluffy cats. Belated welcome home, by the way! beautiful. I had a special reading tree once, when I was small. Always got my hair full of pine pitch but that didn't matter because the branches were laid out in such a way I could set my book and my box of raisins of one, lean on another and stay there for hours, swaying in the wind and reading. bliss. I love that first photo - beautifully captured. lora - you missed a great time. b - a little wood elf! tut - tsuki's hair gets incredibly long which is why each spring he gets a lion cut! merle - there's a futon with your name on it here at avenue c should you get up here! as the song says cleveland rocks! megan - thanks....I wish I had a good climbing tree nearby! rlb - what a blessing to have had a reading tree when you were a lass! betty - tsuki has the fluffiest paws which leads to much sliding about! what wonderful tousled tufty fur! I love Reinaldo's quote. Thanks for sharing. Hard to grasp or believe at times trees and plants are truly living entities that support so much life, including us! Tsuki? HEE! 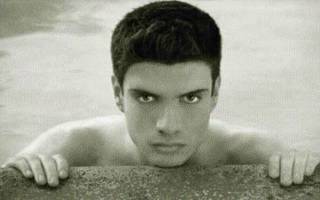 He is cute.